Mags BC is offering two workshops this Thursday and next to train people how to use video equipment, edit video and audio and upload the results to the web. These evening workshops are open to all magazine professionals, either as a staff member or a freelancer, as well as post-secondary students in publishing and journalism programs. Video Equipment Orientation and Practice is to be run by Patrick Earley, a Leo-award-winning cinematographer.Thursday, October 3, 6:30 – 8:30 p.m, Room A310, Langara College. Editing and Uploading to the Web is run by Vancouver-based filmaker Stephen Gillis. Thursday, Oct. 10 6:30 – 8:30 p.m. Room A226, Journalism Dept, Langara College. For more information about the workshops see this blog. Avenue magazine of Calgary has developed a close relationship with the University of Calgary's environmental design faculty and the results of a year-long research work they shared is reflected in this year's annual Big Idea issue about what makes a successful city. In a release, the magazine said the overarching idea for this year's issue bubbled up at last year's launch. Content was previewed throughout the year in a series of blog posts. York University has served notice for defamation against Toronto Life magazine over an article in the magazine's October issue -- now delivered to subscribers and available on newsstands -- which suggests young women students live in fear of sexual assault. The secondary cover line on the issue is "Why are there so many rapes at York U?" The notice, which is preliminary to an actual lawsuit, names Toronto Life Publishing Ltd. and freelancer Katherine Laidlaw, who wrote the story. A statement from York president and vice-chancellor Mamdouh Shoukri says the article presents "a wholly distorted picture of women's safety" on the campus, making "sweeping and misleading generalizations that foster an atmosphere of fear in the York community and beyond and cause undue reputational and other damages to the University." "On its cover, the magazine suggests that York’s campus has been the site of a disproportionately high number of rapes. This is patently false. "The article also characterizes the campus as a “hunting ground for sexual predators,” using language that is inflammatory and baseless. "Distorting and misrepresenting facts may help to sell magazines, but it does nothing to address the serious issue of sexual violence." Toronto Life Publishing Limited has declined to respond or comment. Covet magazine has been named magazine of the year in the annual "Maggies", the awards presented by the Manitoba Magazine Publishers Association. Covet won both the plaudits of the judges but also the People's Choice Award tallied by online voting. The awards were presented Thursday at an event at the Manitoba Club in Winnipeg. Taking home the most awards was Prairie Fire, winning all categories in the art and literary group. Football Manitoba's new publication The Huddle won for best cover photography and best single issue consumer title. Canada's History won for best column or department and best digital initiative. A complete list of winners. Covet is a recently launched (spring 2012) controlled circulation homes publication describing itself as "modern living with a Prairie twist". A couple of years ago Brian Segal, then the president of Rogers Publishing, said on a public stage how he admired Next Issue Media in the U.S. and thought that it was pursuing a business model that might work for mainstream magazines in this country, and Rogers in particular. Now it has been announced that Rogers has joined as a partner with the U.S. enterprise and has created Next Issue Canada . And it would seem it is so committed to the idea that Ken Whyte has been appointed president of the new venture, relinquishing his role as head of Rogers Publishing Limited and its consumer and b2b magazine portfolio. He had been named to the job in June 2011, succeeding Segal, after a steady rise. Whyte and Melissa Rogers (daughter of the late owner of the company Ted Rogers) will take seats on the board of Next Issue. A story in the Globe and Mail quoted Whyte as saying Rogers had made an "eight digit investment" and was an equal partner in the venture. The U.S. partners will see it as a way of gaining access to all of Rogers's digital channels through its broadcast, sports and other internet properties. "The Next Issue platform is the future of magazine content consumption. It was the first all-you-can-read subscription digital magazine service, serving up the world's best magazines in a format that enhances what readers love about magazines: the sensory experience, the stunning visuals, in-depth content and the discovery of the unexpected," said Whyte [in a release]. "Next Issue Canada delivers added value with an all-you-can-read experience. It retains the best of print while making the content come to life vividly, giving readers a more personalized, interactive experience. As a result, the magazine of today is even more powerful than the magazine of yesterday." Which is ironic given that Rogers is one of the biggest players on Canadian newsstands and was, at one time (through its Coast to Coast division) one of the principal distributors. And given that Rogers direct mail subscription service remains one of the principal means through which physical subscriptions (both Canadian and U.S.) have been and are sold to Canadian readers. In the release, Rogers said the exclusive partnership with Next Issue Media would be made available free for a two-month trial exclusively to Rogers wireless and cable customers on tablets (iPads, Android devices and starting October 15; it would then be rolled out to all Canadians December 15 and give subscribers unlimited access to more than 100 Canadian and U.S. titles for one monthly payment of $9.99 for all monthly magazines ($14.99 for all weekly publications such as Maclean's). And Rogers titles will be available to U.S. Next Issue subscribers. Initially, Next Issue Canada will be an English service, with a French version to follow in 2014. It remains to be seen how quickly digital editions will be taken up by Canadian subscribers. Right now, the three leading titles are Canadian House & Home with 11,000, Readers Digest with 6,700 and Maclean's magazine with 5,600 (less than 2% of its print and newsstand sales). Les Affaires magazine has launched a special design issue as part of its 85th year celebration. The special issue is done in collaboration with the design agency organgetango, which came up with the whimsical cover, meant to illustrate the blending of business with design as a "driver of the economy"
Canadian Freethinker magazine editorial says dying with dignity is blocked by "archaic morality"
An editorial written for the current (fall) issue of Canadian Freethinker magazine bears quite importantly on the current discussions about the right to die with dignity. The issue , never far beneath the surface, has bubbled up this past week with the video posted by Dr. Donald Low, made eight days before he died of a brain tumor, appealing for a fundamental change that would allow people of sound minds but failing bodies to choose the time of their departure. Freethinker contributor Doug Thomas writes about accompanying a friend, who suffered from multiple, debilitating and terminal illnesses, to Switzerland, there to receive the help from the organization Dignitas to die as and when he wished. 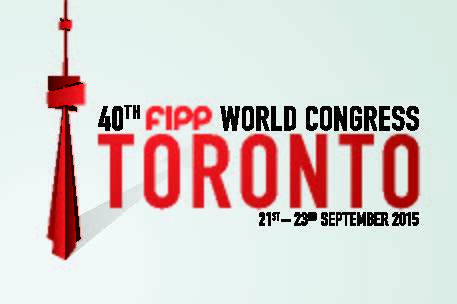 It was announced today in Rome that Canada and Magazines Canada, its magazine association, is to host the 40th anniversary FIPP World Congress 21-23 September 2015 at the Sheraton Centre Toronto Hotel. The Congress is held every other year, and recently was in the UK, China and India -- and this year in Italy. It will be the first time that the International Association of Periodical Publishers (FIPP) based in London and New York, has held its marquee event in Canada. Its members include the largest and most prominent magazine media companies and the leading national magazine media associations. The Congress is expected to bring 1,000 delegates and inject over $3 million into the Toronto and Ontario economy. Big box stores have been steadily creeping into downtown cores and a panel discussion on Wednesday 25th intends to look at the bigger questions behind plans for a Wal-Mart to move into the historic Kensington Market area of Toronto. It's part of the launch of the September/October issue of This Magazine -- its Corporate Hall of Shame issue -- and a new film series sponsored by the magazine called Every Film is Political. The panel will follow a screening of WAL-TOWN, a National Film Board-produced film by Sergeo Kirby looking at the business practices of mega-retailer. Panellists will include journalist John Lorinc (Spacing, Globe and Mail), Dominique Russell, organizer of Friends of Kensington and Shahil Thomas, who works with the Metcalf Foundation on Resilient Neighbourhood Economies. The moderator will be This Magazine editor Lauren McKeon. The magazine issue is an annual survey of Canadian companies This says have been up to no good. “It’s about holding 50 companies to account and about digging that hook in real deep and not letting go, watching and observing and saying ‘we know you did that,’” says McKeon. The event takes place at the Tranzac Club, 292 Brunswick Ave, Toronto and doors open at 6:30 p.m. $15 includes the screening and a copy of the issue. Popular Science magazine is discontinuing comments on its articles because of the growing tendency of even civil comments to change readers' perceptions and interpretation of stories. "It wasn't a decision we made lightly,"said Suzanne LaBarre, the online content editor of PS. "As the news arm of a 141-year-old science and technology magazine, we are as committed to fostering lively, intellectual debate as we are to spreading the word of science far and wide. The problem is when trolls and spambots overwhelm the former, diminishing our ability to do the latter. "That is not to suggest that we are the only website in the world that attracts vexing commenters. Far from it. Nor is it to suggest that all, or even close to all, of our commenters are shrill, boorish specimens of the lower internet phyla. We have many delightful, thought-provoking commenters." "tend to be a grotesque reflection of the media culture surrounding them [and] the cynical work of undermining bedrock scientific doctrine is now being done beneath our own stories, within a website devoted to championing science." -- David Carr, writing in the New York Times about the effects of Vogue's Anna Wintour throwing her weight around as artistic director of Condé Nast, a new position she was given in March. Corporate Knights magazine has cast its net internationally this year with its MBA sustainability rankings. The list now includes 30 business schools from 11 countries based on their efforts to promote sustainability in learning. The list accompanying the feature is led by two Canadian business schools - York University's Schulich School of Business, followed by Concordia's John Molson School of Business. In an editorial, managing editor Jeremy Runnalls says that schools are only beginning to respond to changing corporate conditions, although MBA program rankings are done by a number of magazines in Canada and elsewhere, such as Canadian Business, Maclean's, Financial Times and The Economist. "Each ranking is slightly different, but they all end up rewarding programs that place graduates in the highest-paying jobs possible". The Canadian Journalism Project (J-source.ca) is appealing for individual donations to support the online project, which covers journalism issues and news from across Canada. Until now, a large part of J-source's revenues came from support of the Canadian Journalism Foundation. [This post has been updated] The Toronto Review of Books is an online magazine, but to mark its second anniversary, it is publishing its first print anthology called The Toronto Review of Books Tasting Menu: Choice Selections of the First Two Years. It is going to be available at the TRB's booth at this weekend's Word on the Street in Toronto on Sunday 22nd. "We're celebrating with this feast of a book that serves up some of our favourite deliciousness from our blog and issues," says editor Jessica Duffin Wolfe on the magazine's blog. "Designed by Ali S. Qadeer and printed by Coach House Press in Toronto, Tasting Menu is both smart and pretty. Chatty and fascinating dinner guests gathered between its letterpress covers include celebrated TRB contributors Dylan Gordon, Meghan Davidson Ladly, Shawn Micallef, Matt Rader, David Ritter, Brett Story, Moez Surani—and you, if you like." [Update] The anthology will be sold for a special WOTS-only price of $10, but will be higher later (TBD). To mark its fifth year, Halifax magazine, published by Metro Guide Publishing, has unveiled a dramatic redesign, led by editor Trevor Adams and designer Beth Muzzerall. 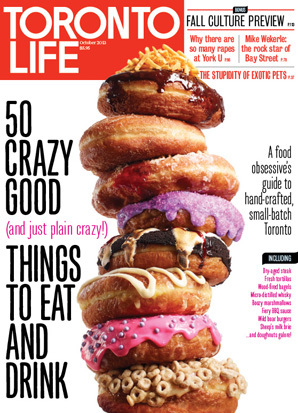 The goal has been to provide a cleaner, more urban aesthetic for the 10-time magazine, says Adams in an editor's note. Along with a stronger and more modern cover flag, there have been considerable additions and changes to the content. "Getting excited about a Contents page is kind of a magazine-geek thing to do, but it’s one of my favourite parts of the new design. The page is clean, reader-focused and makes bold use of photography—it embodies everything we’re trying to do with the new look," says Adams. The new design even allows more words on a page even though pictures are stronger and text flows naturally. Among the new features is a back-page column by Jack Florek, "an American expatriate who moved his family from New Jersey to Halifax, after a lifetime of yearning to be Canadian." Concurrently, the magazine's website has been refreshed and made responsive so that it will display on any device. To celebrate the launch, the magazine has a scavenger hunt promotion. The letter "H" is hidden in various ads; readers who send in pictures of these spots are eligible to win a weekend a weekend for two at the Delta Halifax, dinner and tickets to the Neptune Theatre's production of A Christmas Carol in November. East Coast Living magazine of Halifax is presenting an unusual multi-day fundraiser called Dine by Design East featuring 10 Nova Scotia design groups and 10 local chefs, teaming up to showcase interior design and local cuisine. The proceeds of the event, which runs from October 2 to 6, will benefit design education at NSCAD University in memory of Amber Harkins, the late former editor and creative director of East Coast Living who died last year of cancer. Each design team has been assigned a 10’-by-10’ vacant space in which to create a dramatic dining room. A top local chef has been matched with each design team to create a special menu inspired by design. The design/chef teams are: Jonathan Legate Interior Consultation + chef Luc Castilloux of Morris East; Attica + chef Paolo Colbertaldo of Jane’s Catering and Events; Waugh-Pitts Design + Frederic Tandy of Ratinaud French Cuisine; Norman Flynn Design + chef Brad Wammes of Kitchen Door Catering; M Home + chef Mark Gray of Brooklyn Warehouse; Goldsworthy Design + chef Ryan Hayes of Resto Urban Dining; Lydon Lynch Architects + Feisty Chef Renée Lavallée; Rooftight Construction + chef Derrick Maurais of Fiasco; and NSCAD Faculty and Alumni + chef David Woodley of Gio. The results will come together the evening of Thursday, October 3 where the designers and chefs will discuss what inspired their creations and to see—and taste—the results of their hard work. The gala will also feature pop-up galleries of local artwork , a silent auction, as well as wine, beer and spirit samples from the region. The event takes place in a transformed Olympic Community Centre at 2304 Hunter Street in Halifax. The design spaces will be open for public viewing October 2 to 6 from noon to 8 p.m. each evening, and from noon to 6 p.m. on the weekend. [This post has been updated] The first issue of a new quarterly French language magazine called VÉRO was launched at a Montreal event on Wednesday night and will be on newsstands throughout Québec on September 20. It is the result of a collaboration between TC Media and the eponymous Véronique Cloutier, a Radio-Canada TV and radio personality, and will have a distribution of 120,000 copies on newsstands. “After hours and days of work, I can finally unveil my magazine! What a delight! Working on the first issue was a highly enriching experience for me and I want to thank the fabulous team at TC Media for their collaboration and support in this magnificent adventure,” said Cloutier in a release. The first issue features Cloutier herself, below a logo stamped in bright silver. The publication is primarily aimed at women, with special sections such as Nos buzz, Femmes club, Psycho and Carnet pratique. "The pros who help Véro in her daily life will also reveal their secrets: her stylist, makeup artist, trainer and mother will each have regular pages in the fashion, beauty, health and home entertaining sections of the magazine. Men will also find content that appeals to them in the Planète hommes section." In addition to its newsstand print copy, the magazine will be available by late September in an iPad version. Readers will be able to subscribe to the four issue of VÉRO only in the tablet version. While the magazine bears Cloutier's nickname, the actual ownership, publishing and content creation rests with TC Media. When the project was first announced in March, Cloutier was described as "muse-in-chief". The magazine is actually steered by Sylvie Poirier, former editor-in-chief of a number of high-profile women's magazines such as ELLE Québec. The recently new editor of Canadian Health & Lifestyle magazine, Beth Thompson, is leading with a new look and new columnists effective with its the October edition. The strategy behind the revamped pub is to make health and wellness more accessible to Canadians, says Thompson in a release. “We’ve added new experts, who answer readers’ questions on everything from diabetes to PMS to skincare. Rogers Publishing bought the magazine in April 2012. The magazine at that time had a largely controlled distribution of 397,000, about 230,000 of which were distributed free through the Katz Group Canada Ltd. in its Rexall group of pharmacies including Rexall, PharmaPlus, Guardian, IDA and The Medicine Shoppe. All carry the Rexall logo. According to the Spring 2013 PMB results, CH&L is the #1 health and lifestyle magazine in Canada with a total readership of over 2 million. In addition to its controlled circ, it is also available as an app on iTunes. Sylvain Bédard has been named Vice President, Business Solutions and Group Publisher for TC Media's Les Affaires Group. He replaces Stéphane Lavallée who has left the company. Bédard had already been responsible for the business magazine publishing group, including Affaires PLUS, Commerce, PME, Vision Durable, Force, Finance et Investissement and Investment Executive. An economist, he joined TC Media in 1988 as director of its book division and later moved to become editor and later associate publisher of Finance et Investissement. The finalists for the Canadian Online Publishing Awards have been announced, out of whom the winners will be revealed November 13. The COPA awards are presented by Mastheadonline. Among well-known names to be nominated for the best overall companion website are Chatelaine, Maclean's, spacing, todaysparent.com and Torontolife.com. Best online-only publication websites included Hazlitt, RedNation Online, Torontoist, tuja wellness and What's Really Good magazine. -- Randall Rothenberg, president and CEO of the Interactive Advertising Bureau, writing in Adweek. Google, which accounts for about a third of worldwide online ad revenue, is developing an anonymous identifier for advertising, or AdID, that would replace third-party cookies as the way advertisers track people's Internet browsing activity for marketing purposes, according to a person familiar with the plan. The AdID would be transmitted to advertisers and ad networks that have agreed to basic guidelines, giving consumers more privacy and control over how they browse the Web, the person said, on condition of anonymity. Google not only is the clear leader in online advertising, it also now has one of the most popular browsers, Chrome. Its major competitor, Apple and its Safari browser, has always blocked third-party cookies and had its own ad identifiers for IOS. "There could be concern in the industry about a system that shifts more of the benefits and control to operators like Google or Apple," said Clark Fredricksen of eMarketer, which tracks the digital ad industry. "Restricting third-party cookies isn't going to make relevant advertising go away; it just hands more power to big companies," said Zach Coelius, CEO of ad technology firm Triggit. Universities mean well and and are looking for work experiences for their students, but they are finding themselves facing increasing criticism recently, according to a cover story by Moira MacDonald in the latest issue of University Affairs magazine. It's not just a question of paid versus unpaid in many fields (and not just in magazines where unpaid internships are commonplace) but what the true educational value is. While employers may argue that mentoring an intern represents a cost to the company, universities are increasingly wary of being party to exploiting their students, displacing regular employees or failing to observe labour laws. The Canadian Association of Career Educators and Employers, representing university career centres as well as businesses, issued an official statement in the spring of 2012 advising members against posting unpaid internships unless these met a set of criteria reflecting common labour law standards and ensuring educational value. This was after members started noticing “a significant jump” in unpaid internship postings and “in spaces that traditionally had only been paid,” says CACEE’s executive director Paul Smith. Still, universities should think twice before adopting blanket policies that ban the posting of unpaid internship positions outright, says Nancy Johnson, senior director of student learning and retention at Simon Fraser University and an associate editor of the Journal of Cooperative Education and Internships. Doing so means “you’ve eliminated an awful lot of learning opportunities for students, some of which they may be happy to do unpaid,” especially in the not-for-profit sector, Dr. Johnson says. Her university does not allow the posting of unpaid internships with for-profit companies but does allow them within the voluntary sector. For instance, at Ryerson University, about 20 per cent of students still choose unpaid placements, often because they are so keen on working in a particular niche, and even though universities may make such work experience optional as part of course work or a degree. The key is structuring them properly, says the story, having clear policies and monitoring them (something that critics of routine and serial internships often say doesn't happen). 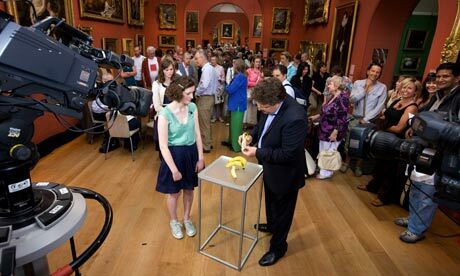 BBC Worldwide is launching a monthly magazine next spring based on its long-running program Antiques Roadshow ("Do you have any idea of what it's worth?") in a licensing deal with Kelsey Media. According to a story in Press Gazette, the magazine -- which will launch next spring -- will be accompanied by a standalone website and some new content about the program, which has been on the air about 36 years. The Kelsey Media website says that there have been 702 programs made at 534 different venues, including 11 countries abroad; a total of nine million objects have been brought to be valued of which 20,000 have been filmed. The BBC sold its magazine division in 2011 for £121m and many of its titles have been published since by Immediate Media. According to a story in the Guardian, Kelsey Media now publishers more than 40 specialist consumer magazine titles including Aeroplane Monthly, Ships Monthly, Practical Poultry, Mini World and Tractor and Machinery. To adjust to the changing realities of the research marketplace and to more efficiently gather and analyze both print media data and results of ongoing research into digital audiences, the Print Measurement Bureau (PMB) and NADbank have decided tentatively to merge their two studies and ultimately their two organizations. The result would be a combined print and digital study from one organization. PMB has long been the accepted standard for readership and purchase information about Canadian magazines. NADbank has been primarily concerned with readership and purchase data for newspapers. A memorandum to members of PMB says that the boards of the two organizations have agreed -- subject to approval at special membership meetings -- to proceed with a proposal made by TNS, the research supplier to both. First data is expected to be available in the new, combined format in early 2015. "The proposed new study builds on the strengths of the PMB and NADbank studies which are both internationally recognized as Gold Standard in their field," [said the memorandum] "The new study will contain all the information currently in the PMB and NADbank studies including data on the digital footprint of print vehicles. This will be achieved with no sacrifice of data quality, but with substantial savings through fieldwork efficiencies and the use of advanced data techniques such as congruent fusion and data calibration. "Further, the new combined study is designed as a platform to allow for broader research guidance for PMB members in areas such as media engagement, path-to-purchase data and linkages to external databases." It's always interesting to see the bubbling up of good journalism despite its many impediments and I'd like to bring to your attention a little magazine that's produced out of New Hamburg, Ontario. Inroads offers informed commentary on Canadian and international affairs and has been doing so since 1992 to a smaller-than-deserved audience. Its focus is to publish the best ideas in political life, left and right, and even more rare, to bring a selection of the best writing from Quebec to English-speaking readers. It's presented in print form and in a tidy website (teasing, but paywalled) and its coverage is both deep and broad, in areas of the economy, arts and books, environment and -- above all -- politics. Consider the current issue, which gives enough space to five, informed observers to look at the significance of Quebec's Charbonneau Commission into corrupt practices in Quebec municipalities, principally in Montreal. Then it dives into examining if government financed health care can be sustained. And goes halfway round the world to ask if Bangladesh is really experiencing a "Bengal Spring". Many of the contributors are, while not household names, familiar to serious readers. Such as Bob Chodos, the managing editor and former stalwart of the long-late and lamented Last Post magazine (see an earlier post); Reg Whitaker; Eric Hamovitch; Garth Stevenson; Linda Cardinal; Henry Milner and John Richards (the publishers). The magazine is on most good, particularly independent, newsstands but subscribers are as important to it as any other magazine. Samples of every article are available on the website, as are those from past issues, but the full text of the meaty editorial only comes to subscribers. There is a special deal being offered for a limited time,making the whole magazine available on a 30-day free online trial (click on the relevant button). So you can rummage around in the current and archived issues as much as you want and then decide that this is something worth supporting with a subscription: $48 for two years print and online; $36 for two years (online only). The venerable family-owned Chronicle Herald of Halifax has bought out the weekly newspapers of TC Media as well as its flyer and distribution business in Halilfax. Essentially, TC Media has withdrawn from the Halifax market altogether. The reason given was the difficult economic environment and the difficult advertising market. As part of the acquisiton, the Bedford Sackville Weekly News, Halifax West Weekly News, Dartmouth-Cole Harbour Weekly News, as well as the Chronicle Herald Halifax distribution and all related employees are being transferred over to the Chronicle Herald. "As difficult as this decision has been, I believe it is the right thing to do to move our business forward and ultimately strengthen our position in Atlantic Canada," says Julia Kamula, senior vice-president, local solutions, Atlantic region and Saskatchewan, TC Media in a release. The New York Times's David Carr has written a thought-provoking column about the perils of "native advertising", a column centred around an interview with Joe McCambley, the founder of the digital design firm Wonderfactory. “I completely understand the value of native advertising but there are a number of publishers who are allowing P.R. firms and advertising agencies direct access to their content management systems and allowing them to publish directly to the site. I think that is a huge mistake. Maxim magazine, which in recent years declined from its leading role in the once-burgeoning men's magazine sector, has been sold to the Darden Media Group; the purchase includes the 2 million circulation print magazine and 15 international editions, digital extensions and an events business, according to a story in Publishing Executive. The magazine was launched in 1995 by British publisher Felilx Dennis and followed almost to a fault the tried-and-true beer, gear and babes formula. It was put up for sale by the Alpha Media Group in March after significant declines in its print advertising. In 2012 it sold only a third of the ad pages it sold as recently as 2007. It cut its rate base and frequency and most of its problems were attributed to the rise of digital media in the men's adult category. Darden was formed earlier this year by Cal Darden Sr., a retired United Parcel Service senior vp who has had a varied business career outside media. He currently serves as chairman and CEO of Darden Development Group, a real estate development firm, and sits on the boards of Target Corp. and the Coca-Cola Co. He was named by Fortune as one of the most powerful black executives in the U.S. Darden's son, stockbroker Calvin Darden Jr., was in the news several years ago when he pleaded guilty to stealing from securities firms and investors. Maxim's new owner said he plans to extend the brand across cable, radio and music platforms. "Although the publishing industry has seen seismic shifts over the past several years, transmedia brands that engage consumers and advertisers on multiple platforms [are] significantly on the rise," Darden said in a statement. -- An unnamed U.S. editor quoted by Global News, explaining why the Toronto International Film Festival (TIFF) got so little coverage in the major U.S.-based celebrity weeklies. 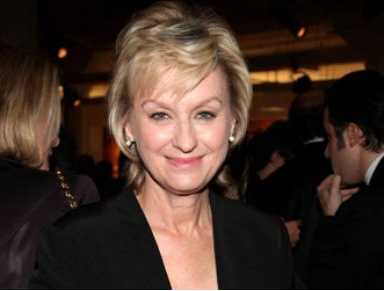 Tina Brown, who had major successes as an editor (Vanity Fair and The New Yorker) and major failures (Talk magazine and Daily Beast/Newsweek) is leaving the magazine business after more than 35 years. A story in the New York Times said that she is ending her fractious partnership with backer Barry Diller who was not going to renew her contract and would be starting Tina Brown Live Media, focussed on building a conference business on the foundation of the Women in the World conferences she has been running for several years. "It is unclear what Ms. Brown's departure means for the future of The Daily Beast. The Web site has lost millions of dollars since its inception, though Ms. Brown had projected that it would break even long before now. The executive, speaking on condition of anonymity because Ms. Brown was handling the public announcement, said it was unlikely the Web site would be closed. "Ms. Brown said The Daily Beast "has given me some of the most exciting and fulfilling years of my professional life," adding that she was "enormously proud" of what the Web site had achieved." The National Magazine Awards Foundation is looking for members of the Canadian magazine industry willing to take part in a roundtable discussion about eligibility and the judging process. To find out more contact NMAF Special Projects Manager Richard Johnson richard.johnson[at]magazine-awards.com. Descant magazine's blog recently published a post by Lesley Kenny about notebooks, a little hymn of praise for the ubiquitous Hilroy notebook (and notebook writing in general). "Hilroy cornered the market on lined “exercise books” for Canadian school-age kids. Remember those faint blue lines and how you had to learn to tame your squiggles between them? Some booklets — that’s what our teachers called them – had horizontal dotted lines running between the darker lines, to guide the dots over our “i”s, the lines through our “f”s and “t”s. Sadly, there was nothing below the line to guide the crazy-making mirror image tails of those “g”s and “q”s. "Somebody should write a thesis on Hilroy’s role in 20th century Canadian handwriting. A kind of Foucauldian-homeroom-teacher mashup." Time Inc. has acquired American Express Publishing's titles -- Travel + Leisure, Food & Wine, Departures, Executive Travel and Black Ink. Time Inc. CEO Joseph Ripp told employees he was "delighted". The value of the transaction was not disclosed. “I am very excited about the possibilities for expanding these world-class brands, along with the rest of our portfolio, as we prepare to become an independent company,” he added. Time, Inc. is set to spin off from parent company Time Warner in early 2014. American Express and Time Inc. have been in a strategic relationship for about 20 years and the transaction has been coming to boil for several months. Due to new banking regulations, Amex is no longer allowed to participate in non-core businesses such as publishing magazines. For 12 years, Word on the Street Vancouver was part of a network of one-day reading and literacy festivals across Canada (including the original fair,Toronto plus Kitchener, Halifax, Lethbridge and Saskatoon). But now the Vancouver Book and Magazine Fair Society has announced that it is disassociating from WOTS's national organization and rebranded its now 5-day festival to be Word Vancouver. The event will take place in Library Square, Vancouver, at Homer and Hamilton Streets. Executive director Bryan Pike says the new name reflects the event’s expanded programming. Unlike one-day outdoor street festivals in Lethbridge, Toronto, Kitchener, Saskatoon, and Halifax, Vancouver’s multi-venue event will take place over five days, from Sept. 25–29. The inaugural program puts the spotlight on Canadian poetry, with readings by Amber Dawn, George Stanley, bill bissett, Evelyn Lau, and Brad Cran. Pike says there will also be automated poetry vending machines located in various locations around the city. A full schedule is available on the event’s new website,wordvancouver.ca. Investment in new technology in magazine publishing is taking a big leap forward, after four years of decline, according to a story in Folio:, reporting on its 2013 manufacturing and production technology survey. Budget for new technology in 2012 was a mean of $47,000, double that of the year before. Twenty-six per cent of b-to-b publishers reported they increased their spending in 2012 and 24% of consumer publishers. Fewer said they were cutting back, which was a trend in recent years. Of those who plan to increase their investments in the coming year, 20% of consumer and 17% of b-to-b plan to increase in the range of 10 to 29 per cent. "While print is still the dominant platform for revenue, not to mention readers, publishers are making significant investments in increasing numbers to overhaul their digital platforms to accommodate and facilitate mobile use." Print, by far, is still the primary delivery platform for paid content, with a mean of 92 percent of consumer publishers and 80 percent of b-to-b respondents. Only 8 percent of consumer publisher respondents say they offer paid Web content, while b-to-b publishers report slightly more than double the amount of paid content offerings. Only 4 percent of consumer publishers offer paid content on tablets, while 7 percent of b-to-b publishers do so. Smartphones are even less—only 2 percent of b-to-b and consumer publishers indicate this is a paid content platform. 87% of companies responding do their production and design work in house; 91% of b-to-b publishers do so. Ad portal system use remains steady, with about one-third of consumer publishers and a quarter of b-to-b. While Ontario publishers are prepared to pay a fair share of the Ontario Blue Box recycling program, says Magazines Canada in a written submission to the Ontario Ministry of the Environment, this cannot happen unless publishers have a significant say in both how fees are set and control over costs. The submission is presented in parallel with one from The Coalition for Effective Waste Reduction in Ontario. The association says proposed changes in the legislation about recyling cannot work unless producers who are now required to pay 100% of the program costs also have control of those costs. Ontario publishers, it says, cannot simply be expected to write cheques. "Under the new Act, producers must have decision-making authority over cost control equal to their responsibility to pay." 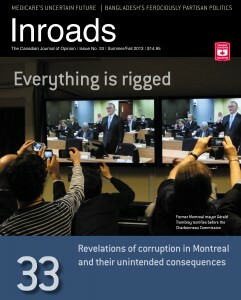 Magazines Canada's submission about the proposed new Waste Reduction Act also revisits the issue of so-called "free riders" on the system, particularly including U.S.- and foreign-origin magazines which pay nothing to maintain the system in which they account for as much as half the contents of the typical blue box. "Any new system must be better designed. Shortcomings in capturing producers cannot be made the responsibility of magazine publishers. Magazine publishers are very prepared to pay to recycle our own paper but they are not prepared to pay any longer to recycle magazines like Vogue, the New Yorker, InStyle or hundreds of other large foreign publishers who are much better funded competitors."